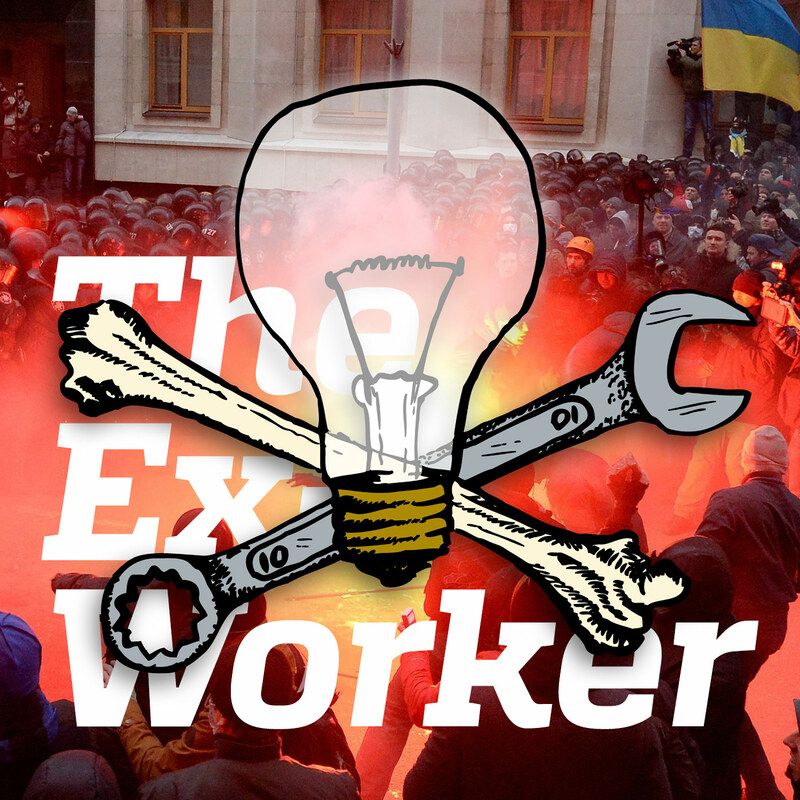 It's a new year and a new episode of the Ex-Worker! In our sixteenth installment, we backtrack a little to cover our biggest topic ever: what is anarchism? What pathways led today's rebels to embrace anarchy, and what does it mean to them? We'll hear from historical and contemporary anarchists in a collage weaving together first person experiences and definitions. Also, listeners write in to elaborate on the situation in Ukraine we reported on in our last episode, and to share a provocative perspective on the relationship between religion and anarchism. We've also got our usual news, upcoming events, and prisoner birthdays. Tune in to hear the poignant stories of an anarchist generation. Anarchists all over the world rang in the new year by demonstrating outside of prisons and jails. Here are links to some write-ups from actions that took place in Omaha, New York City, Seattle, Helsinki, Athens, Volos, and Larissa. Looking for some good reads to get you through this cold snap? Here’s more on anarchism from classic anarchists Emma Goldman, Marcus Graham, Daniel Guérin, Peter Kropotkin, Stuart Christie, Gustav Landauer, and Alfredo Bonanno. We’ll be covering more perspectives on anarchism as it relates to gender and feminism in future episodes, but for the time being, here are some from anarchist feminists Voltairine de Cleyre and Carol Erlich, and the Anarcha Library. Statements about the situation in Ukraine from the anarchist Autonomous Worker’s Union in Kiev, and some well-documented analysis that breaks down the interests behind the media gloss. For more background, check out the CrimethInc feature on the revolution in Serbia titled “Fake Revolutions, Real Struggles”. For more about radical roots in Christianity, look into the Brethren of the Free Spirit, the Ranters, the Diggers,, the Adamites and Beguines. Intrigued? Check out Norman Cohn’s classic history “Pursuit of the Millennium,” or for a lively historical fiction account, check out “Q” by Luther Blissett. The NATO 3 are beginning trial this week. Check out their support website here. We’ll cover their case in more detail next week.